Social Dancing by 10pm Every Night! 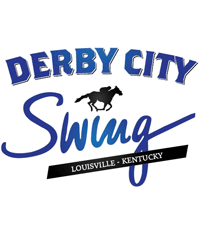 We keep our costs low for you at Derby City Swing. Our early bird weekend pass is only $99 and Tables of 8 are available. Our Hotel rate is $117. We are directly across the street from the airport with a FREE shuttle, FREE parking and FREE WiFI! Plus we have a FREE Pizza party Friday night. Derby City is one the best values you will find! We host a unique and fun Pizza and Dessert Party on Friday night! It's a special Friday reception, just for you! We really want to welcome you to our home of Louisville, KY! We love WCS and we love Louisville and the Kentucky Derby. We have special themes on Friday and Saturday to add the southern flair of the Derby to Derby City Swing. Read more here.